They have a couple of different designs available for their 'Beauty Boxes' and release new ones with new collections they bring out. This particular one is a design by Talbot Runhof (after a quick Google, this is an American/German duo of fashion designers), and I love the colours and pattern on and it definitely stands out in my makeup bag. It is also extremely compact, with a decent sized mirror. 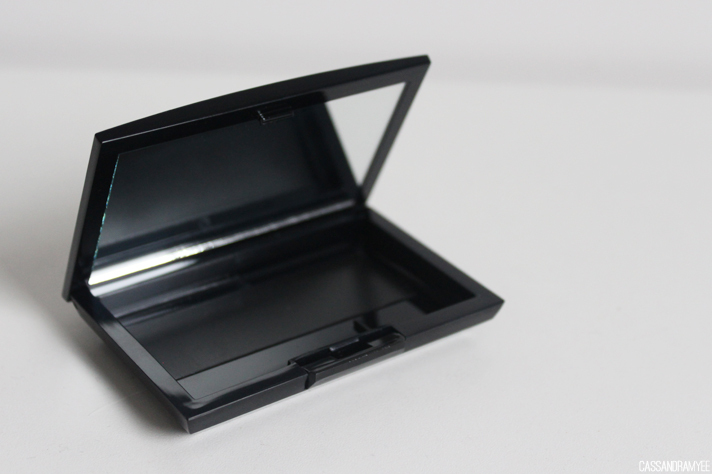 This can hold four eyeshadows, or 1 shadow and a blush and you can also get them in trios and duo sizes also. 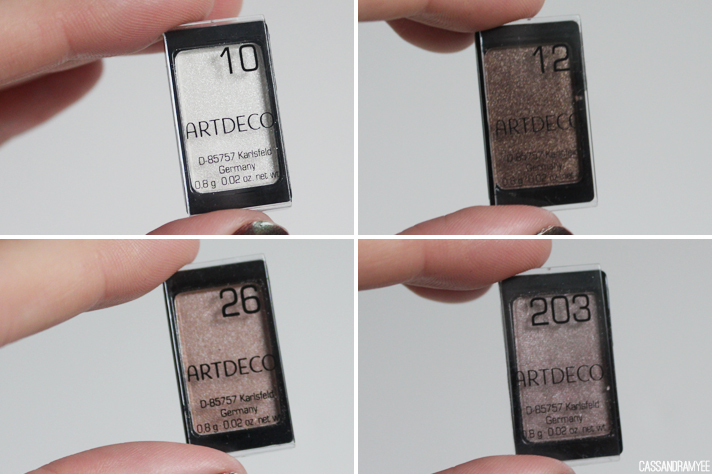 The shadows come in different finishes, including pearls, mattes and duochromes and they also have a small number of special release ones with different collections. 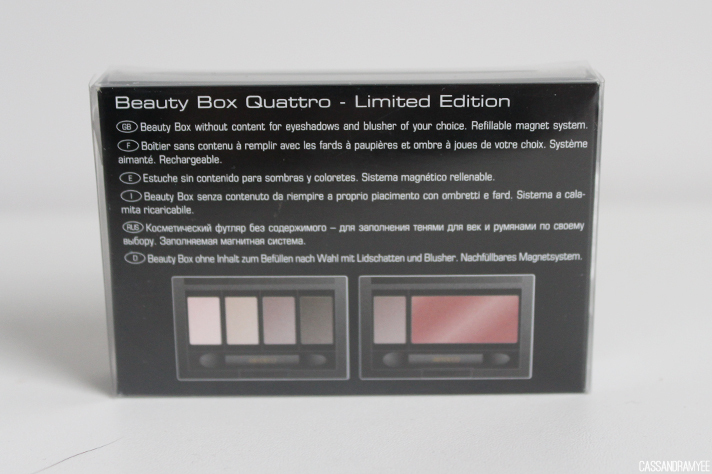 There is an amazing selection of colours, and each little pan is designed to slot into one of the magnetic boxes. It was really hard to choose what shades I wanted and I ended up with a hand filled with swatches as I tested them all out at Farmers. Removing the plastic covering makes them slot into the boxes perfectly against the magnetic bottom. They have the number of the shade printed on the side so you don't forget, which is a good touch. I think the magnet could be a little stronger, but the overall outer shell feels secure so they aren't going to be flying out very easily. 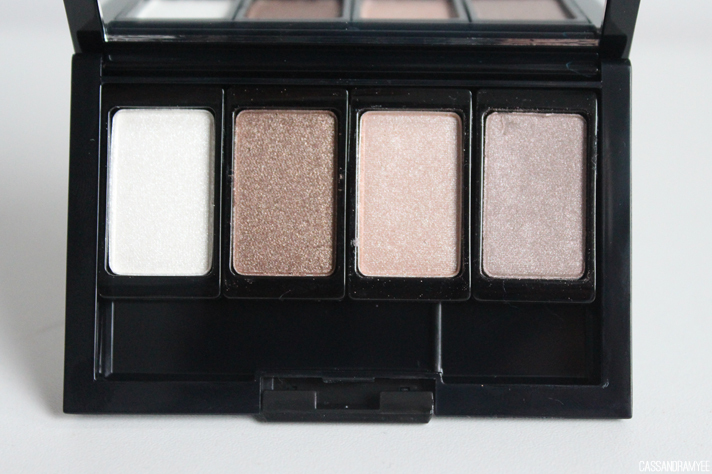 Of course, I opted for very neutrals shades, as this is a great palette to take travelling. The ones I picked are all shimmery as I have my UD Naked Basics that has the perfect matte neutral shades I could want. 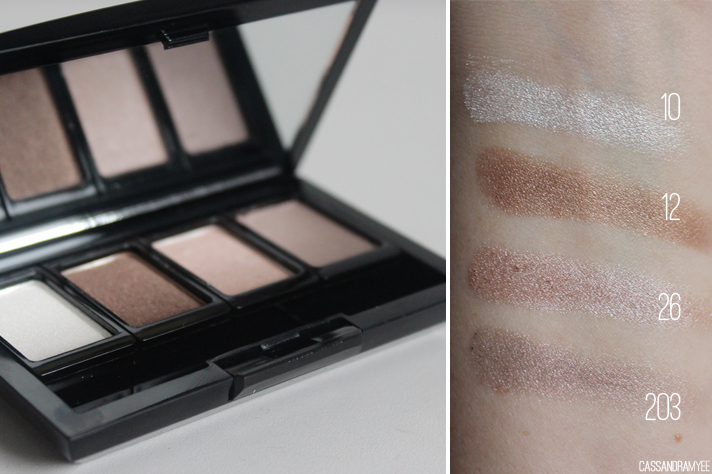 The shadows have lovely pigmentation and feel super soft and butter like - at $9 each I was really impressed with the quality. They do have a bit of fallout, but I think that is just down to the shimmer finish. 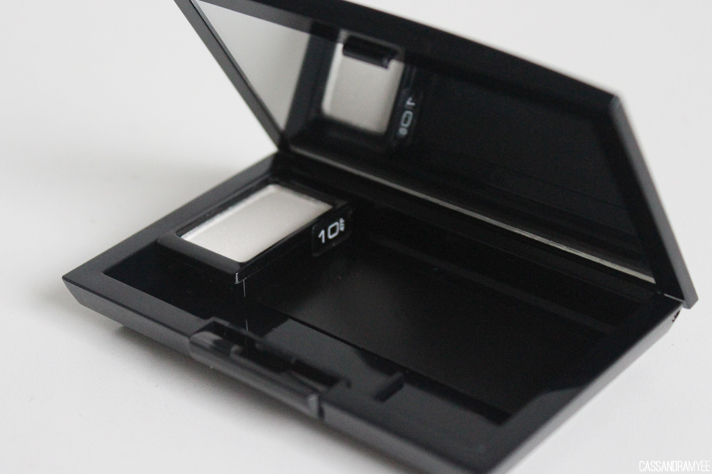 #10 - Pearly White - inner corner highlight, sorted. #12 - Chocolate Cake - golden, bronze goodness - what more could you want? #26 - Pearly Medium Beige - quite pink toned, and just gorgeous. #203 - Silica Glass - A brown/taupe shade, compliments #26 really well. As an added bonus, the day I shopped for all these Art Deco goodies (I also got one other thing too, will be up soon), they had a deal on and I think it was something like spend $45 and get a free eyeshadow base, and who can complain about that! It comes in a cute little tub, with a twist off lid. 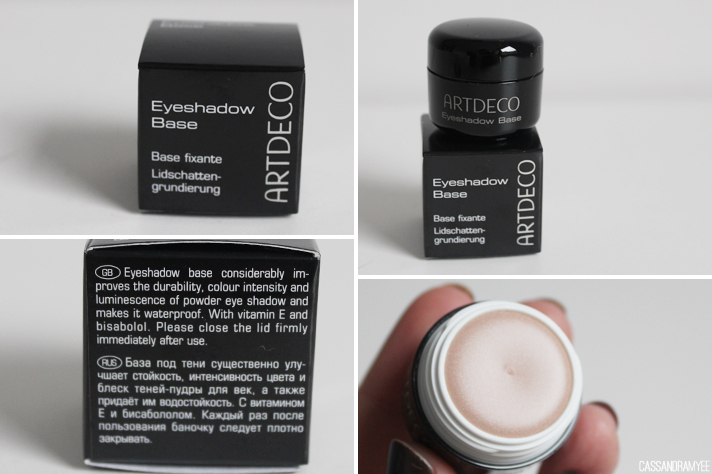 It feels very creamy and blends nicely onto the lid and does help to prolong the wear and also brings out the true colours of any shadows you use over top. For a freebie, I was pretty stoked! 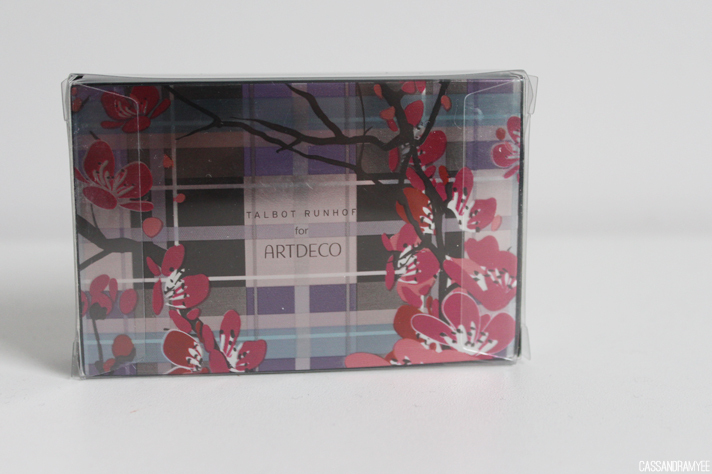 I am very pleased I took the chance to have a closer look at the Art Deco stand and I look forward to buying a few more items from them as it seems extremely high quality and I think the packaging they do is absolutely gorgeous too. 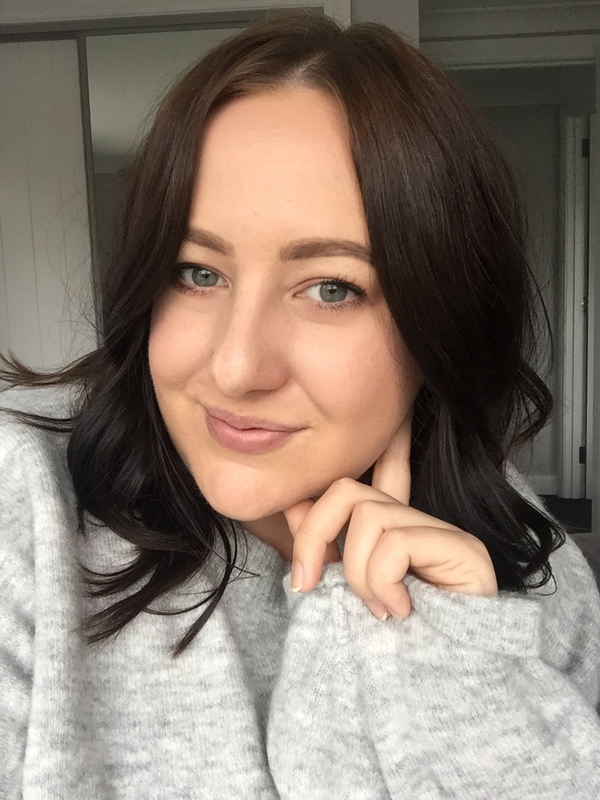 Also surprisingly, it is cheaper to buy it here at Farmers than it is to get it online, generally it goes the opposite way with makeup here in NZ - but Beauty Bay ship worldwide if you are unable to get a hold of it any other way. 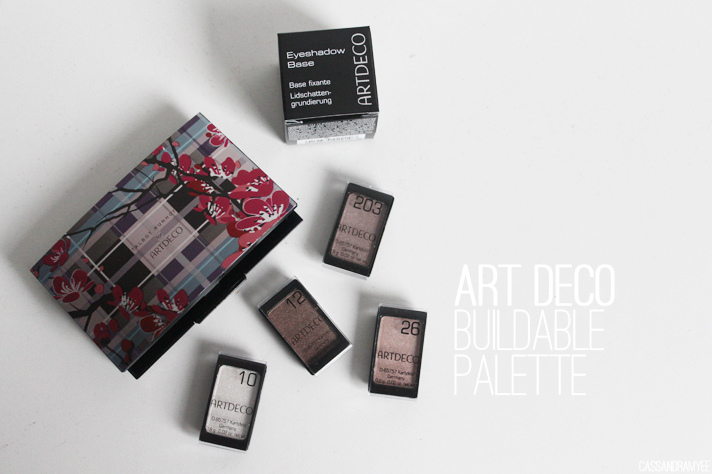 Have you given any Art Deco products a go? Any I should be on the lookout for next time I hit up Farmers?